When disciple making means meeting Jesus in a new way! Posted by Heart Cry for Quebec in Disciple Making Testimonies, Testimonies: couples & individuals. Comments Off on When disciple making means meeting Jesus in a new way! Since 2011, Donald and Lorraine have opened their home as a place of care and counseling for pastoral and ministry leaders couples. They are committed to assisting individuals, couples and families to find freedom from emotional issues, spiritual problems and spiritual strongholds. To date they have met with over 58 couples. Their ministry has resulted in relationships that have deepened through coaching and mentoring. It has also become a stepping stone in implementing disciple making groups. They are now translating and adapting the “Way of Jesus” for the Québec context, a great need in their mission field. Donald and Lorraine claim this season is the best and most fruitful in their ministry lives ever. We rejoice with them. Keep praying for them to be sensitive to discern the leading of the Spirit of Jesus in the amazing Journey and movement designed by God for the mission field in Québec. One such couples shares… ” In November 2013, we went to Donald and Lorraine’s suite for a week of spiritual retreat. The Lord used them to reveal where our hearts were wounded and needed his healing touch. It was the first time in our lives that someone really took care of our heart issues. As a result, we understood that Jesus really is interested in what goes on in our hearts and that he desires this intimate loving relationship with each of his children. As a pastor, I realized for the first time that what Jesus had done for me. He wanted to do for those around me as well. He wanted us to take care of people’s lives in such a way that they could experience His love and care in a much deeper way than ever before. Thank-you for coming and talking about reconciliation and how to determine why we feel certain ways. I am still praying and learning more about some of the stuff I learned about myself during that week. And I believe it is helping me to more understand who God is. May God bless you both and continue to guide and teach you in every way through Jesus Christ. Amen. I just wanted to say a huge thank-you for coming and sharing with our team. Your care for our hearts was evident to all! I really appreciated the way you mentored me and challenged me specifically and how you opened my eyes to things in my life that I was carrying with me. May God bless you both in your ministry and your marriage and may he continue to use you. This was a great week. I loved being able to learn more about who I am and who I am in Christ! Thank you Donald and Lorraine for showing us how to look deeper into ourselves and work past hurts. God is really using you to further His kingdom! Thank-you so much for everything you guys taught us. Thank-you for taking time to speak to us individually after the planed teaching times were over. I appreciated that so much. Thank-you for being so humble and for sharing so much of your life story with us and thank-you for your passion for Christ. I am so grateful to have learned how my past can affect my future so much. I know that the things you taught me are going to make my relationships stronger. So again thank-you. You are greatly appreciated. God bless you in your career and in your marriage. Thank-you for coming to spend a week with us. I learned a lot through your stay. I appreciated your openness with us as students and also your ability to work side by side helping people together as a couple. I thank you for our private prayer time and your assistance in guiding me through dealing with my past. I am praying for you and your mission and hope that we can one day see you again. Thank you guys so much! I really enjoyed the teachings so much because it helped me to dig deep and really see the hurts I have been holding on to and the bitterness I had because of them. It gave me the opportunity to forgive others and find real peace with my walk with God. Because of the times we spent in classes I understand why certain people hurt me the way they did. And for of them, I have truly forgiven. Donald and Lorraine, you guys are great! (Lorraine, I think of you kissing my forehead often. It makes me smile!) Miss you. Posted by Heart Cry for Quebec in Testimonies: couples & individuals. Comments Off on Hearts being touched! 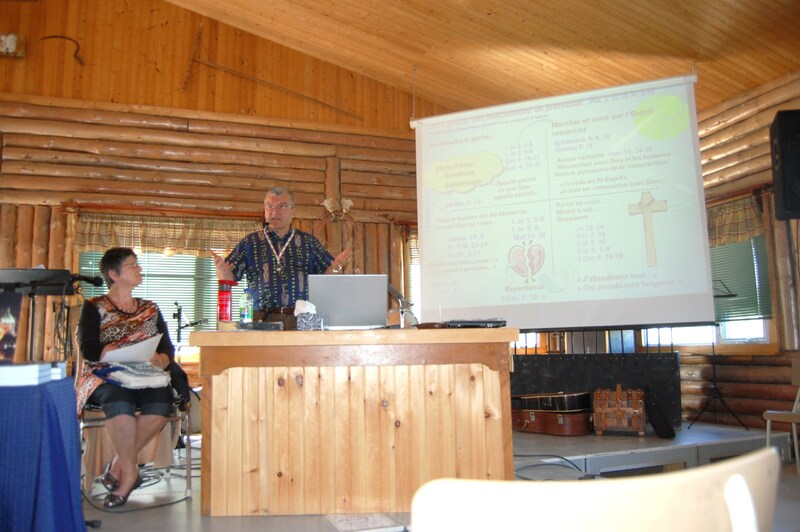 Donald & Lorraine teaching at Camp Patmos, Lac St-Jean, QC. In the following lines you will read testimonies from couples who have been wholeheartedly touched during the conference for couples at Camp Patmos, QC. They accepted to share their blessings and be a source of encouragement and hope for other couples. Disciple of Jesus: a matter of the heart! 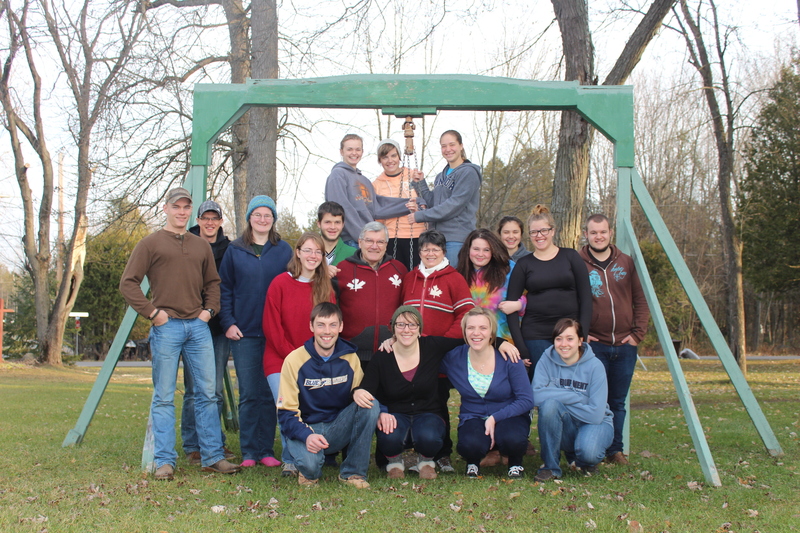 Posted by Heart Cry for Quebec in Disciple Making Testimonies, Testimonies: couples & individuals. Comments Off on Disciple of Jesus: a matter of the heart! God gives a vital importance to the heart. In the Bible, more than 1500 verses speak of the heart with nearly 900 entries in the OT and 600 in the NT. “The Hebrews conceived the heart as the receiver of an intimate communication with God (Isaiah 40: 1-2; Eze 3. 10; Hosea 2: 14) and humans (Gen. 50: 21; Judges 19: 3; Ruth 2: 13). The lips could lie, but the heart as a harbor of truth, concealed and potentially could reveal the absolute truth, as in Delilah’s betrayal of Samson. (Judges 16: 18) – Edward P. Meadors 2006, 14. 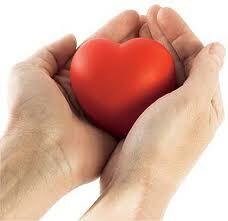 “The ancient Hebrews regarded the heart as the vital, life generating center of human beings. A healthy heart produced a healthy life. The heart was one’s emotional center in a positive or negative sense depending on the character of the individual. “- Edward P. Meadors 2006, 14. “In the New Testament, the concept of heart (kardia) corresponds closely with to that of the Hebrew Scriptures. The NT appraises the heart as the “center of the inner life of man and the source of all forces and functions of soul and spirit. The heart reveals one’s true depravity and moral corruption (Romans 1: 21,24). – Edward. P. Meadors 2006, 78. Then the Bible describes clearly the heart as the center of the pain, grief, pride, inner evil, lust, adultery, betrayal, infidelity, and very important to the persistence and hardening (hearts of stone). If the new covenant regenerates the heart by faith, disbelief product hardness of heart (Mark 16: 14, Luke 24: 38, Hebrews 2: 12-19). On a more positive note, the redemptive plan of God has great potential for healing of the heart. If it is the place of corruption, it is the place of cleansing sanctification where authentic faith resides… The transformation of the heart emerges as the mark of the patient disciple who waits on Jesus’ return in obedience to his teaching.– Edward. P. Meadors 2006, 79 & 81. What amazing “Good News” we can experience and then proclaim to the world! JESUS: our light for marriage? Posted by Heart Cry for Quebec in Testimonies: couples & individuals. Comments Off on JESUS: our light for marriage? Jesus is our light by taking away the darkness and cleansing our hearts. Week of marriage counselling and enrichment. During this week, I could understand the roots of the wounds and fears of my husband like mine. I can now use the opened doors of his heart to care for him. As a result, we are able to talk to each other about an event or a subject without fighting with each other. That opened the eyes of my heart towards my husband and led me to care wholeheartedly for him. On my side, I could realize how much the negligence of my wife’s mother affected her and how much athe anger of her father had wounded her heart. I understand her much better. Through this caring for the heart ministry, I learned how to take care of her heart and bring security and comfort to my wife. On my part, I could find the roots that led me to perform and to become people pleaser. Now, I can benefit and relax from free times without feeling guilty. Thank you Lord! “ Dear Lorraine & Donald. Jesus is our hope for marriages! Posted by Heart Cry for Quebec in Testimonies: couples & individuals. Comments Off on Jesus is our hope for marriages! “We would just like to say thank you both for the hospitality that you gave to us last week and the amazing discoveries that we uncovered working with the Lord through your marriage counselling and enrichment. You both are truly servants of the Lord and it shines through by the way you are able to teach and heal broken hearts and souls. The Lord has blessed you both with gifts of teaching; we have taken back so much information and tools to help with our relationship and are anxious to continue with your ministry in helping and leading others to the healing of hearts and souls. It is just a start for us and if the Lord willing we will continue with the tools that we attained last week to help and assist others in the issues concerning relationships. The Lord is good for bringing us together now we have brothers & sisters in Montreal. Donald & Lorraine on the road again! Posted by Heart Cry for Quebec in La Pêche Church, Wakefield, Testimonies: couples & individuals. Comments Off on Donald & Lorraine on the road again! La pêche Church, Wakefield, July 7-8th. Donald & Lorraine preaching and giving mission report about Quebec mission field. Here they are sharing a meal with Pastor Mark and Janet Chamberland after Church. Sunsay 15th, they accepted Pastor’s Rob Harwood’s invitation to speak about the ministry of Reconciliation. Driving around Stayner area, they visited with pastor Dave and his wife Carri from Collingwood EMC, Brothers and Sisters in the Lord from Faith EMC, Wasaga Beach. Time to share stories about what God is doing around the World. Mission Weekend is great Family time. In a World that is hurting & increasingly desperate, our Hope is in Jesus!